Treat yourself to an exclusive night out at Houston’s premiere theater! The Alley presents everything from classics to World Premieres. 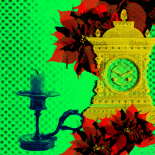 The Lancaster Hotel guests receive 20% off tickets to A Christmas Carol with Promo Code: LANCASTER. open daily from noon to 6 p.m.
A family-friendly re-telling of Charles Dickens’ classic story, which follows Ebenezer Scrooge’s journey with the three ghostly spirits who visit him on Christmas Eve. A Christmas Carol instills a powerful message about redemption and the spirit of the holiday season.